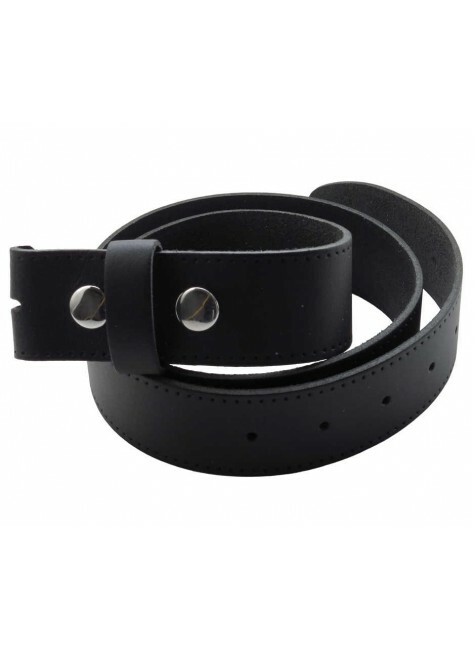 Top quality leather belt is perfect for any of our awesome Belt Buckles or your own. High quality, 1½ inches (38mm) wide, black split leather belt straps with press-stud fastenings to accept any belt buckles: in a choice of three waist sizes. Item Number: AG-L1B | Approximate Size (Inches): 1.50 wide x 0.50 deep x 1.75 high | Approximate Shipping Weight: 0.50 lbs.